If your business cannot be found on the web, then you face the risk to lose on crowds of your potential buyers and remain just a local venture that’ s unknown to the worldwide community. Running a website is no longer a way to show off. This is an indispensable online marketing tool that makes your brand recognizable. If you think that launching your business site is too costly and time-consuming, then you will be surprised to find out that you can create your business website in less than 1 week spending a few hundreds of dollars for the entire process. How? Let’s discover. Why Do You Need to Create Your Business Website? Runs a broad Internet search in an attempt to find companies that offer necessary products or services. Came across your business site and want to discover more information about you and your offer. Discovers your contact details and wants to get in touch with you through an email or via a phone. When you create your business website and run it, the benefits you get are literally endless. By means of a well-structured web page, you can communicate your business ideas to a wide community of web users. You can invite more customer to try your offers, as well as find new partners. Your website can bear more than just an informative message. This is a place where you can sell and communicate with your buyers. You can develop your business, promote it, monetize, and achieve a whole lot of other actions that will benefit your venture as a whole. social media features, blog, working forms, and other elements providing for online business promotion. If you think that you will need the help of a freelancer or a web design agency in order to create your business website, then there is good news for you. You can get the job done on your own using a ready-made business web theme. There are plenty of such solutions available today. Coming with different functionality, designs, and price tags, web themes allow you to create your business website quite easily, without any extra expenses being involved. One of such powerful and feature-rich solutions is Gravitas Corporate Website Template. Gravitas is the ultimate website template that is ready to be used for a quick start of any small to a large-sized business project of yours. This is a fully responsive web solution from MotoCMS website creator templates collection. It is created in accordance with contemporary web design principles in mind. The fully responsive layout of the theme adjusts to all screens automatically. What’s more, the theme contains 6 niche-specific child skins that are ready to be modified using a handy drag-and-drop page builder. 30+ responsive pages are bundled as well. Moreover, from the responsive website infographic, you can see how a responsive website influences business conversions. One of the best things about this stunning pre-designed business website template is the availability of a 14-day free trial version. 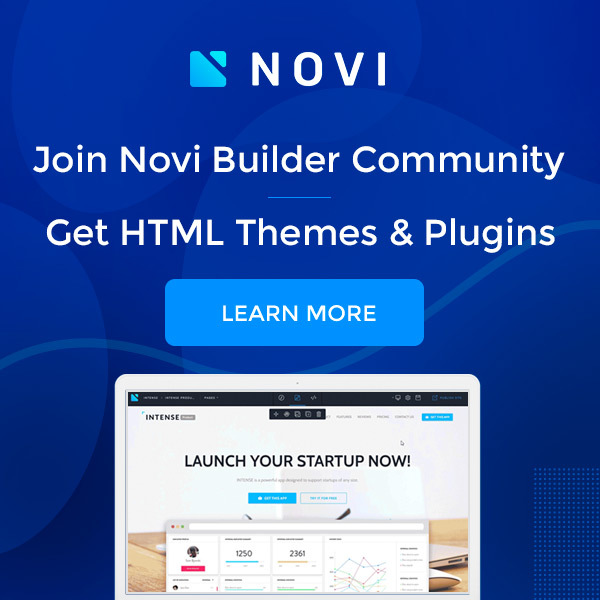 So, you can check out how the theme works, how to manage its functionality, and how the drag-and-drop interface is organized in order to understand if the theme meets your expectations. When you create your business website, you should know that it starts with the choice of a domain name and a reliable hosting provider. One of the most widely-trusted solutions with a great speed is Inmotion Hosting. They offer Shared Hosting plans, as well as VPS hosting, reseller hosting, and SEO hosting. Thus you can select the one that meets your business to the fullest. One of the best things about Inmotion Hosting is the fact that they partner with popular blogs and website builder. As you read this post, you can follow this link and buy 1-year hosting plan for your business website for only $1. GoDaddy and Bluehost are also popular among business projects of different sizes and belonging to different business niches. Their subscription plans start at $1/mo and $2.95/mo, respectively. So, you may feel free to make your choice based on your budget. The next step that you need to take as you create your business website is to install and activate a ready-made theme. In this post, we’ll review how the whole process is done using Gravitas web theme. The theme features quick and lightning-fast installation. It won’t take you more than 3 minutes to import all of the theme’s features to your site. As you start working with the theme, you are asked to choose which of the 6 child skins will become the foundation of your future business website. Gravitas lets you choose from consulting, finances, shipping, interior design, charity, and travel skins. Whatever design you select, you’ll be able to apply all further changes in the intuitive drag-and-drop dashboard. Every skin contains a set of responsive ready-made pages to choose from when you create your business website. Also, you can create a new custom page and fill it with all blocks and widgets that will provide for a better presentation of your business venture. As soon as you entitle your new custom page, you can open it in the dashboard and add all necessary blocks and widgets from the left sidebar. All elements are added by means of drag-and-drop functionality. Mind that a new page already features the header and footer elements that were selected for the whole website. So, there is no need to insert them manually. In order to add your own texts to your site’s pages or upload your images to the gallery, simply click on the field that you’d like to customize and enter your texts or insert images. You can watch the results of your work being revealed instantly. So, there is no need to update and preview a page every once in a while. If you enjoy the results of your work, you can save changes and keep moving further. If not – you can cancel the modifications that you have applied. Gravitas includes more than 30 ready-to-go pages for a different purpose and information blocks of your site. All pages come loaded with pre-designed elements and content blocks that save you loads of time of the development of the respective elements from scratch. Simply loads any chosen element with your data and save your changes in order to keep moving further. The theme is ready for application as a starting point when you create your business website or as a foundation of your blog and even eCommerce web project. The drag-and-drop dashboard features the possibility to tweak your web store’s pages as you work with the pre-designed elements. Also, Gravitas comes loaded with eCommerce plugin. It delivers all of the essential eCommerce features to the theme, including the possibility to manage store invoices, checkout, product pages, catalog, etc. As you manage the theme’s design, you can apply general changes like text styles color schemes, as well as local changes like sets of widgets that you’d like to be displayed on particular pages of your sites. To do this, navigate to the Design section in the theme’s dashboard, select a page that you’d like to adjust, and bring modifications as you drag and drop necessary items. In order to make your business website look stunning and engaging, keep its design clean and straightforward. The pages of Gravitas web theme are built in a way that reveals a company story in an easy-to-follow manner. The theme’s pages are created with the focus on logic and a coherent story presentation. Whenever you need to achieve a similar data presentation on your site, pick pre-designed pages, fill them with the needed widgets and design elements, and uploaded your site with your pieces of content. Working with Gravitas you can forget about cluttered web pages. The layout features enough white spate and usable structure of navigation elements, which are easy-to-use even for first-time visitors to your site. As you continue tweaking your site’s design, the color scheme of your web page is worthy of special consideration. As a rule, 3-4 colors are the limit for business and financial web projects. Gravitas comes loaded with a stunning color picker tool. It allows you to get your perfect color palette in a few minutes. You can tweak hues, adjust backgrounds, focus on how well the color settings match the corporate tone of your business, etc. The proper choice of fonts for your website is just as important as the layout structure. Your web page is made up of content and words serve to deliver your ideas and branded message to the consumers. So, if a user finds it difficult to read your data, then chances are that they won’t stay on your page trying to discover the needed information. You can capture the eye of your visitors by means of readable and quick-to-scan fonts. If you create your business website, keep in mind that it shouldn’t include too many pieces written using decorative elements. You can apply a few to highlight headlines yet do not over-do with the technique. Your business web page may contain the maximum of two fonts. One of them should be used in the body of your texts, while another one is more applicable to your headlines. Gravitas delivers a collection of built-in Google web fonts. While choosing fonts, make sure that it delivers enough contrast with the background colors. When it comes to the credibility of your business after you create your business website, there is a set of factors that you need to mind. One of them is introducing your customers to the members of your team. People need to know the team that delivers a specific sort of products and services to consumers. So, revealing photos of your team members and writing a text about them will increase your brand recognition and evoke trust. Next, reveal customer testimonials on the homepage and product pages. People trust the words written by fellow customers more than a refined and masterfully written marketing description. If your brand has any kind of awards and certificates, do not miss a chance to reveal those on your business site. This supports the image of your brand and has a direct influence on the positive buying decision of your customers. When it comes to the visual presentation of your site’s content, Gravitas delivers a wide choice of opportunities to enhance the visual presentation of your data. For example, you can implement background sliders to capture users’ attention. You can use the old good parallax scrolling effect that can add the feeling of depth to your content presentation. Various galleries can be uploaded with any sort of visual data of yours. These are fully responsive elements that can be enhanced with smooth transition effects. Remember that all these elements contribute to creating a brand identity. When you create your business website and run it, you understand that you need to establish long-lasting relationships with your consumers. So, integrating your website with contact forms is always a great idea. Using Gravitas, you’ll be able to integrate your web page with an Advanced Contact Form, which allows you to create complex and fully customizable contact forms for your site. As you start working with the element, you can add unique titles for the fields so that you can find them on the dashboard whenever you need to apply changes to the contact form. Set the spacing, texts, fonts, content, and other pieces of your contact form in the drag-and-drop mode. One can place the contact form on the homepage of your site, as well as made available on a separate page containing your company contacts. The thing that should be mentioned is that your contact details should be made accessible to the audience no matter what page of your website they’ve reached. Such information as your phone number, email address, and physical address should be available on the pages describing your products and services. Also, this is a great advantage if you include Google maps widget in the footer of your site. This will help you to improve your brand’s credibility and deliver the fastest route to reach your site. 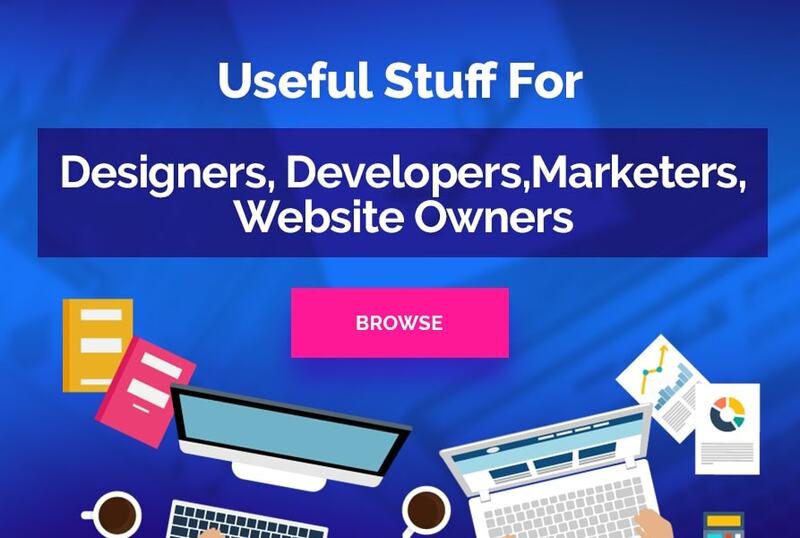 As you can see, the possibilities of the modern-day web technologies allow even non-techies and web design newbies to create their own business websites without applying too many efforts. Ready-made themes like Gravitas include all essential components that can make your business and financial web projects perform to the fullest. By means of the fully editable layout that’s ready to be tweaked in the visual mode, you can create your business website and bring it online in less than 1 week. If you are eager to find out what is the structure of the dashboard of Gravitas theme, then you can go ahead and try its free 14-day trial version. By the way, you can get this business theme 60% off if you download it on November 21-23. For 3 days only, MotoCMS lets you save more than half the price on all website templates and services. In order to grab the special deal, visit MotoCMS from 21th to 23rd November and save up to 60% on your cart. MotoCMS offers a wide variety of ready-made themes that can suit literally any purpose and business niche. If you need a fully-fledged and multipage web theme, then MotoCMS 3 website templates are your best choice. You do not need to have any special coding skills in order to modify their layouts. You can also choose MotoCMS HTML templates. Such items are integrated with a drag-and-drop page builder yet they are not responsive. In order to create adaptive web pages on their basis, you need to integrate the chosen theme with a mobile editor. Once again, you can make the right choice of a ready-made design for your business as you use a 14-day free trial version.